[Closed] Why is my UV Map out of scale on my model from Maya? i have an issue with UV Map scaling or i just dont understand them correctly. 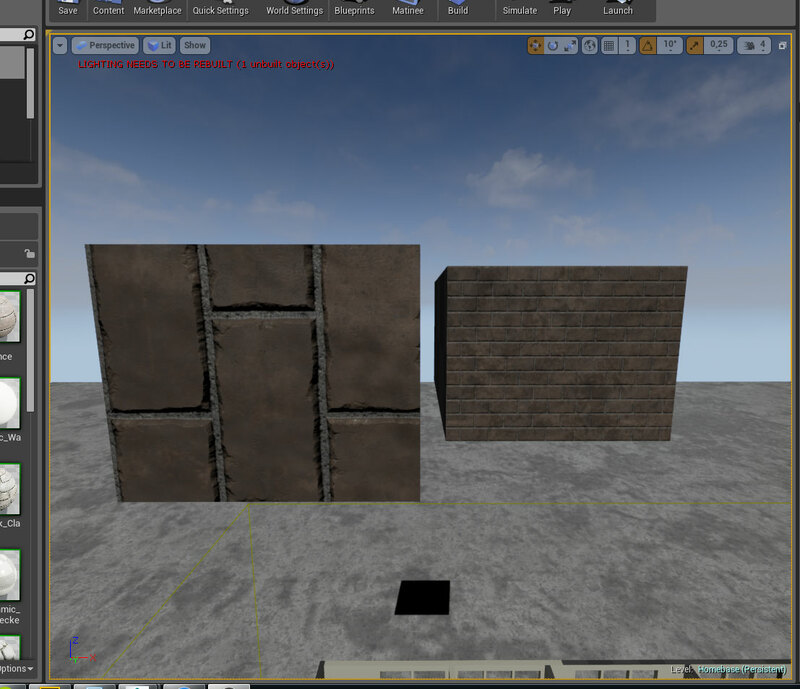 Here is a Picture of 2 static meshes. The left mesh i created in Maya and fitted the UV Map in the 0-1 Range from which i made my lightmap. On the right side u see a Brush converted to a static mesh. So here are my problems: How can i use the 0-1 space without reworking all my materials? How can i get the texturing all the same even if i create a static mesh within maya? Because i have no "defined range" for the UV Map Why das the texture change orientation? I am closing this post for tracking purposes, if this problem returns please feel free to post again. I might be misunderstanding your question, but it seems like you answered yourself. 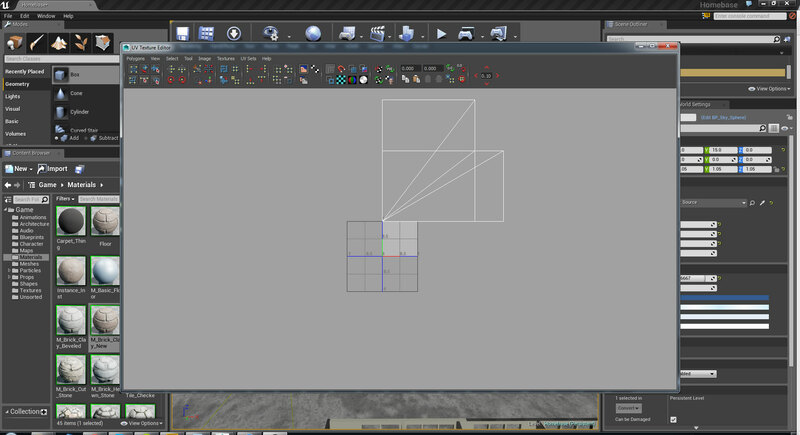 Doing an unwrap in Maya in the 0,1 space is correct. Importing in that mesh then applying a material should get you close to the right side of picture one, you might need to adjust the UV tiling in the texture coordinate of your material if its not 100% what you want. There is currently known issues with converting BSPs into Static Meshes then auto unwrapping them in the editor. If that's the direction you wanted to go I might recommend exporting the newly created static meshes, opening them in Maya and unwrapping them yourself. You will be much happier with the quality of the unwrap and its usability.